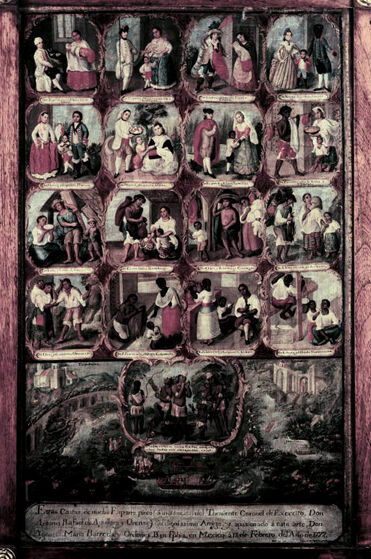 A collection of images, chiefly from Latin America and ranging from the 16th to the 20th century, depicting various responses to the Encounter. 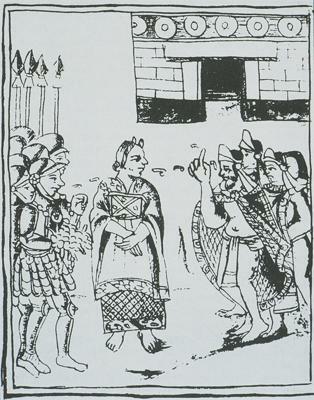 “La Malinche Between Cortés and the Indians,” 1519. Image found here. The curves floating in space between Malinche and the grouped figures on either side represent language. 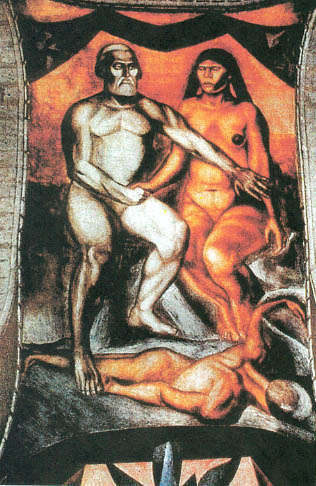 José Clemente Orozco, Cortés and Malinche, 1926. Image found here. 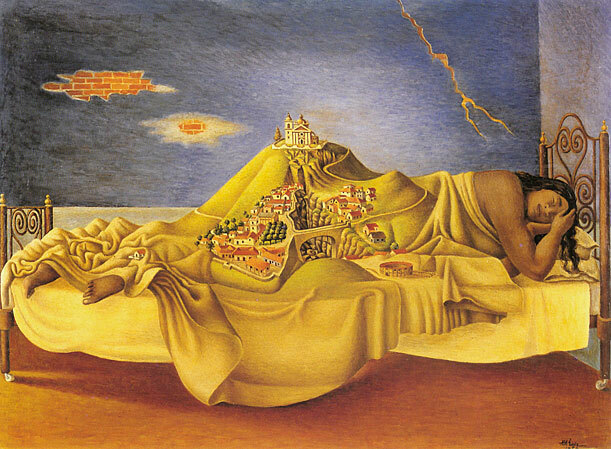 Antonio Ruíz, El sueño de la Malinche (“The Dream of Malinche”), 1939. Image found here. Casta Painting, 1777. Ignacio María Barreda. Real Academia Española, Madrid, Spain. Credit: Leibsohn, Dana, and Barbara Mundy, Vistas: Spanish American Visual Culture, 1520-1820. Go here for a discussion of this painting. 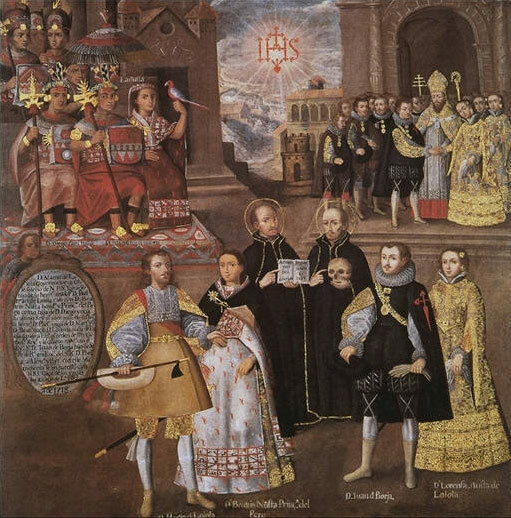 Union of the Inka royal family with the houses of Loyola and Borgia, 18th c. Museo Pedro de Osma, Lima, Peru. Credit: Leibsohn, Dana, and Barbara Mundy, Vistas: Spanish American Visual Culture, 1520-1820. Go here for a discussion of this painting. Anonymous, Nuestra Señora de Guadalupe de México, Patrona de Nueva España. 18th century. Museo de la Basílica de Guadalupe, Mexico City. Image found here. 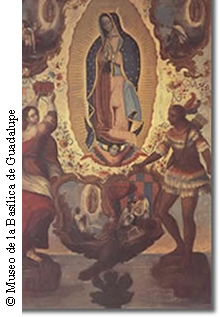 Painted to honor the 1754 declaration by Benedict XIV that the Virgin was the patroness of New Spain. Luis de Mena, casta painting, c. 1750. Museo de América, Madrid. Image found here. 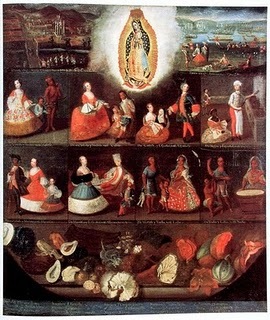 Interesting because this is one of the rare casta paintings that also includes the Virgen de Guadalupe. Some preliminary discussion of this painting here.